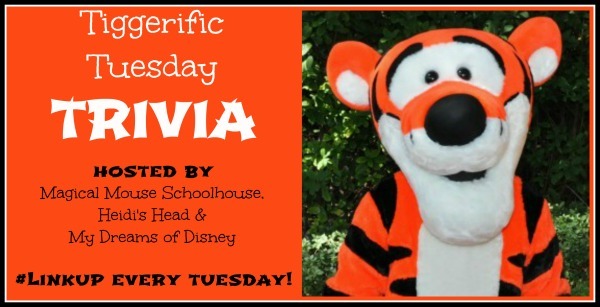 Tiggerific Tuesday Trivia is hosted by the Magical Mouse Schoolhouse Blog, My Dreams of Disney, Inside Heidi’s Head, and Disney Babies Blog. The purpose is to provide some little known facts about Disney. In this picture, there are five Magic Kingdom resorts in the monorail loop. Three of those resorts were never built. An Asian resort which is where the Grand Floridian is now located. All of these resorts had different reasons for not being built. The biggest reason is the Oil Embargo of 1973 which greatly reduced travel and the demand was not there for five resorts. The Venetian Resort ran into environmental issues since the land where it was going to be built was very soft. Long support piling would need to driven into the ground to hold up the structure. These added costs led to the resort’s demise. That’s kind of sad. The idea of a Venetian resort sounds lovely! I wouldn’t have minded seeing the Venetian concept in the Grand Floridian’s location. I’d love to see the artwork for those resorts. 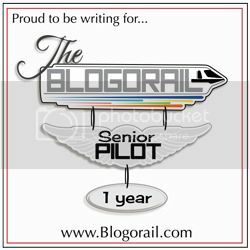 I bet there would have been spectacular! I’m sure some early drawings are out there. The question is: are they available to the public? 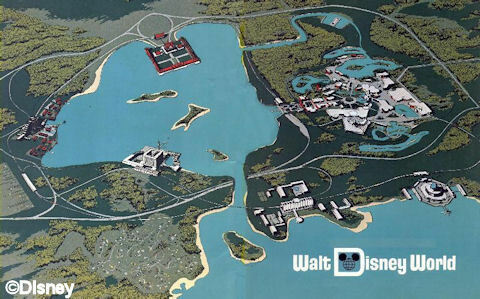 Maybe when the Walt Disney Museum opens in Chicago, we’ll get to see some of this artwork. I would have liked to stayed in the Venetian Resort if it was built. I really would have loved to see that Asian resort! It would have been interesting to see which direction they chose to go with theme? Chinese? Japanese? Southeast Asian? Or maybe a blend of all three?